Feets and I discovered the hidden treasure of Community Greenhouses in Brockwell Park last week. I can't believe I've spent so much time in the park without really noticing them! Or at least, without realising they run activities that make the greenhouses accessible for non-gardeners like myself and Feets. 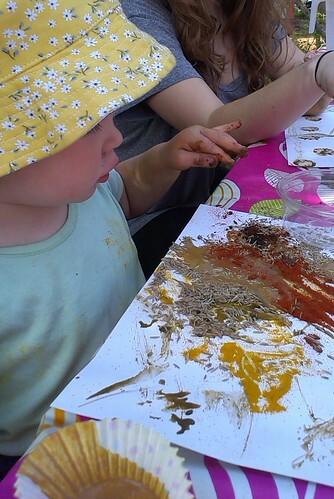 We took part in a 'mucky magic' workshop to celebrate national compost week. 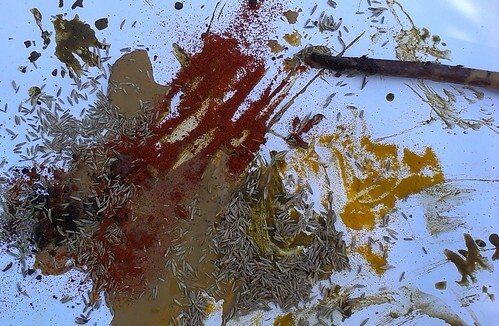 Feets is particularly into painting and pouring at the moment, so she was thrilled to make paint from mud, water, and colourful spices. It gave me lots of food for thought for future painting activities!